Having lived on Cumberland Island for more than forty years, Carol Ruckdeschel’s goal has been to document present conditions of the island’s flora and fauna, establishing a baseline from which to assess future changes. Since the late 1960s, she has witnessed many changes and trends that are often overlooked by those carrying out short-term observations. This compilation of data, along with historic information, presents the most comprehensive picture of the island’s flora, fauna, geology, and ecology to date. 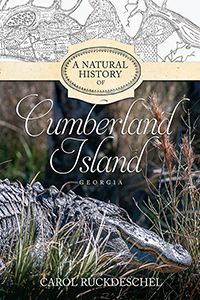 This volume will satisfy a general interest in the ecology of Cumberland and other Georgia barrier islands. New information on individual species is presented, contributing to its value as a reference for the Southeast.